Shown here is both the MOSSAR & KSSSAR Color Guard Teams, who participated on Memorial Day 2010. 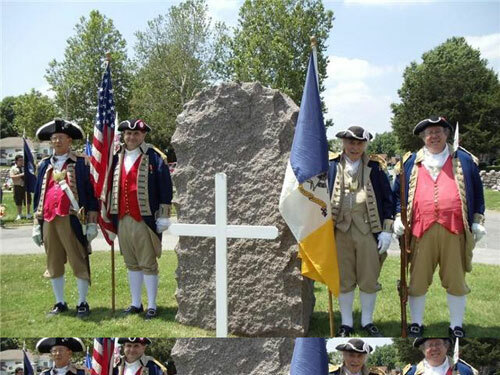 The Color Guard team participated in the Memorial Day event located at Woodlawn Cemetery in Independence, MO. Photo(L-R): Major General Robert L. Grover, MOSSAR Color Guard Commander; Compatriot Dirk A. Stapleton; Compatriot Fred Kaffenberger; and Captain James L. Scott. Compatriot Fred Kaffenberger is from the Delaware Crossing Chapter of Kansas.